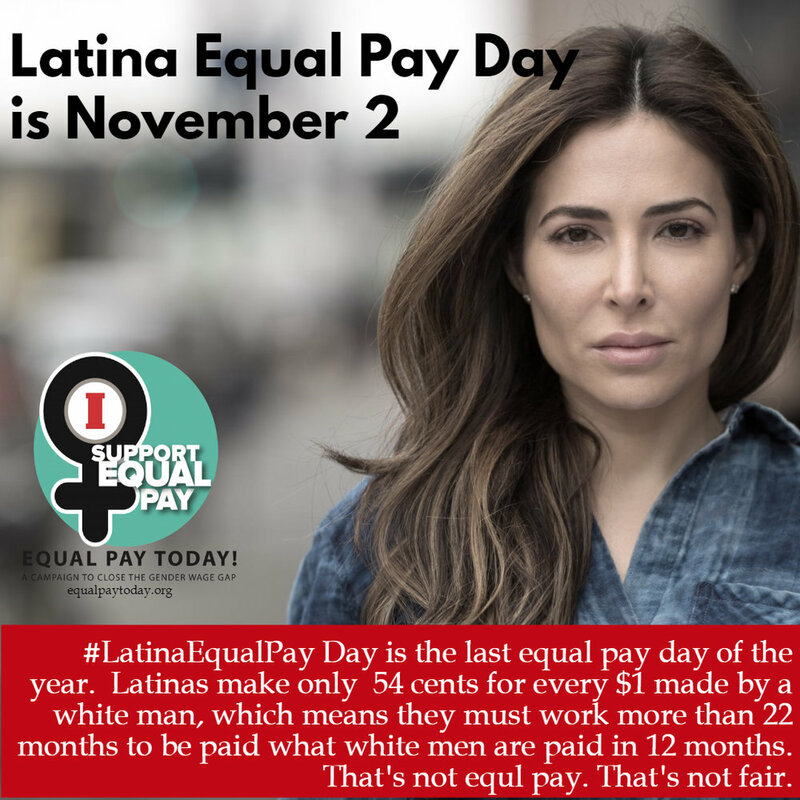 Latina Equal Pay Day -- the day when Latina pay catches up to that of White, non-Hispanic men from the previous year -- is being observed on November 2, 2016. More than 50 years after the passage of the Equal Pay Act of 1963, Latinas typically earn only 54 cents for every dollar earned by White, non-Hispanic men and must work more than 22 months to earn what white men earn in 12 months. Indeed, given that this is the last "Equal Pay Day" observance of the year, Latinas must typically work longer than ... everyone. This disparity hurts not only Latinas, but also the families and communities they support. In 2017, this is unacceptable. We need to act now and let everyone know that we support #LatinaEqualPay! Join the women’s rights community, Latino advocacy organizations, the labor movement and workers’ rights advocates for the #LatinaEqualPay Day Social Media Storm on November 2 at 2:00 pm ET! We will be on Twitter, Instagram, Facebook, and Snapchat using the primary hashtag #LatinaEqualPay and secondary hashtags #Trabajadoras, #EqualPay and #LatinxEqualPay. A toolkit including educational resources, sample promotional tweets, info-graphics, and memes can be found at http://www.latinaequalpay.org/.